Josue Hernandez is in the middle of his third year of ministry as associate pastor at the Modesto Central Seventh-day Adventist Church. He graduated from Pacific Union College in 2015 with a degree in theology, and will begin MDiv classes in January. 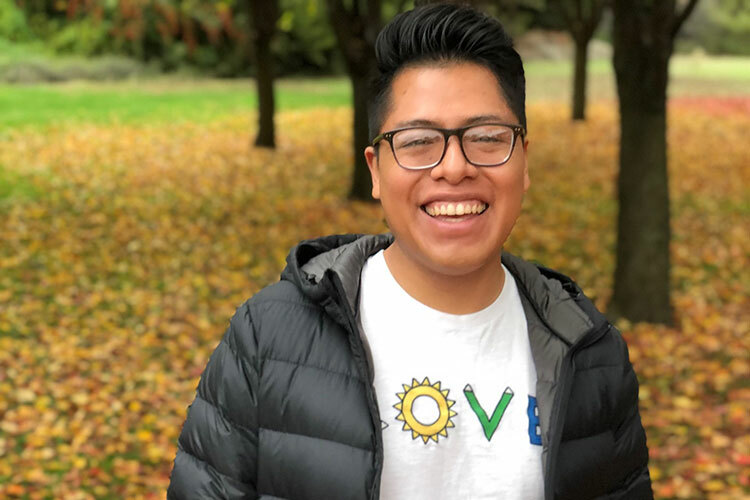 “I wanted to be a pastor to ensure the voices of young people are heard in the life of the church,” Josue says. In my experience, churches can be very open to new ideas when they line up with the a fresh, well-communicated vision of what the church could be. For example, instead of having an extended evangelistic series we offered a one-weekend presentation on the power of hope to our community, wrapped up by a Sunday morning project where we partnered with Rise Against Hunger to package thousands of meals for families who needed them in the Philippines. Seeing the full spectrum of ages, including a few non-Adventist community members, working together toward the same goal was inspiring. I had several roommates at PUC. Each one of them very different. I never really had any issue getting used to having a roommate but for some reason they never stayed the whole year, not sure if it was them or me, except for Timmy Baze who I roomed with my first year—what a brave soul. PUC embraced me as family, so being away from home was probably tougher on my parents than on me. I missed the homemade food the most. My favorite meal in the cafeteria is still Friday morning bliss—biscuits and gravy! To get away from campus, I’d take trips down the hill to In-N-Out, Giugni’s, Sherpa … my mouth waters just thinking about those places! And of course, the back 40! Great place for a hike or a run to Inspiration Point with friends to burn off the calories from the cafeteria food. We all have defining moments in our lives—moments we can't forget and have shaped in a significant way the person we are today. What are two of your defining moments?